The abuse reporting feature of eMailTrackerPro is ideal for users that want to actively combat spam and phishing emails. First of all an abuse address is not always found, in these scenarios a user will be able to search throuhg the Whois data to locate contact information for the network responsible. For emails that do come up with an abuse address it will look like the image above. To auto generate an email use the click here link. This should launch a new email as shown below. If no email has been launched it is worth checking the default program settings to make sure the default email program has been selected. For users using free mail, such as Hotmail, a new email won't launch. Clicking the link will copy the report to the computer clipboard, this means it is in memory and can be pasted into a new email. 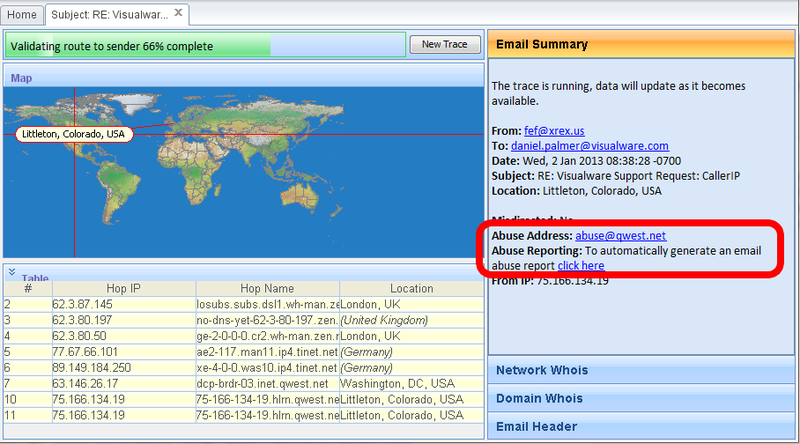 The abuse address is already entered into the To: field. All that is required now is to paste the report into the email body. 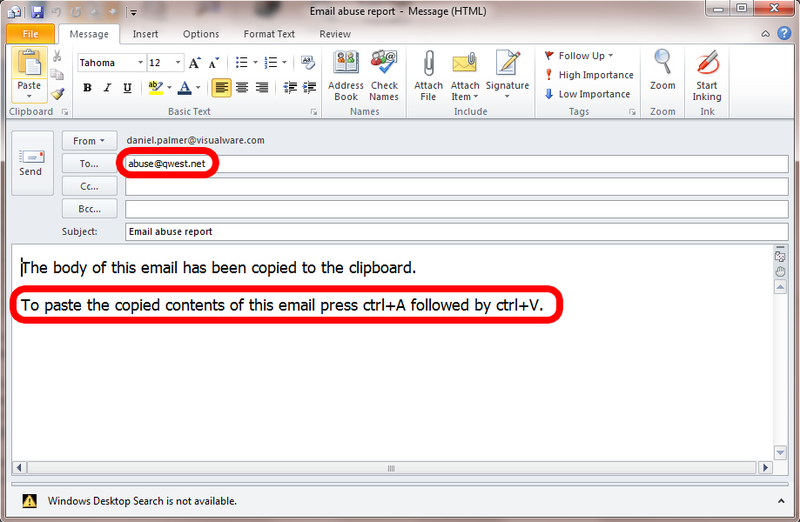 To do this simply remove the text currently in the email body and choose Paste from the edit menu. Alternatively a user can use the Ctrl-A (Select All) and Ctrl-V (Paste) keyboard short cuts to overwrite the text with the auto generated report. Extra information can be manually added should the user feel it adds to the case in hand.